The wearable market is booming. It’s not new, it’s just much more cool now than it used to be. The coal miner’s headlamp was wearable technology that Edison invented in 1914, and, admittedly, it was a great innovation at the time. But now we are looking at things that can evaluate your perspiration to search for disease, sleeves that can translate sign language into spoken English, and soft flexible batteries that can be sewn into clothing. 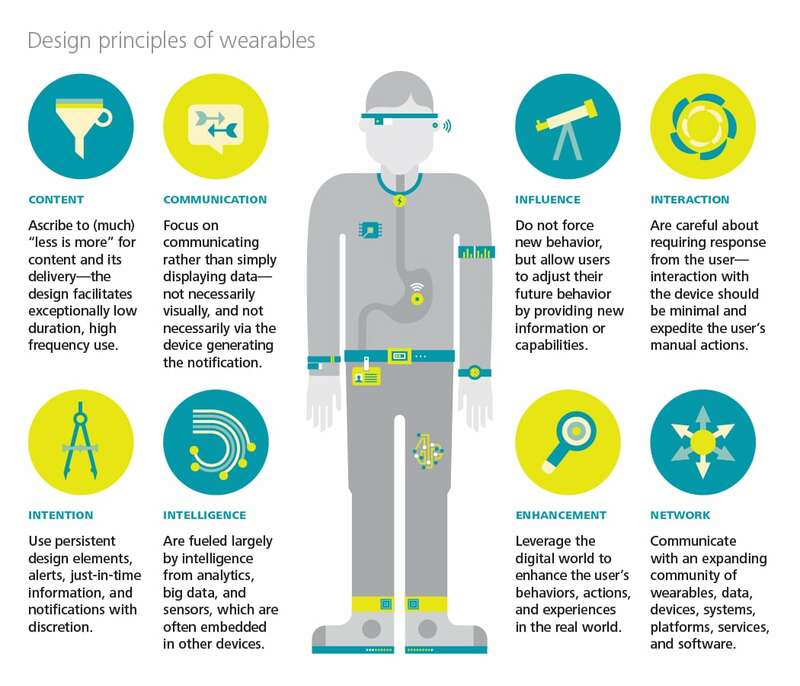 If you have a technology that you integrate into a wearable device design, please do yourself a favor. Before running pell-mell down the road of development that will make your cool new technology a product, consider the following suggestions first. Controls and interactions have to be simple, and should make daily tasks easier, not more complicated. Check out this handy chart that Delloitte University put together here. They don’t. If your device is going to add hours of time for them to pore over tons of data coming in from a myriad of patients … think again. The placement of sensors, accuracy of sensors, and user error diminish the accuracy of data. Data needs to be properly interpreted in order for a good diagnosis to occur, and this is often difficult—even with good data. Bad data makes it much worse. Design and develop your smart wearable device and get it on the market. We need these products to alleviate the burden on our healthcare system. Just make sure that if your idea is a smart sock, you keep my dad out of the hospital by making sure he can put it on with his banana fingers. Because, guaranteed, he will twist it around in unimaginable ways, and he might displace the sensor in the process.